AED Performance has offered the highest quality carburetor components for over 25 years. Carburetor venturi boosters from PitStopUSA.com are available for a variety of carbs. 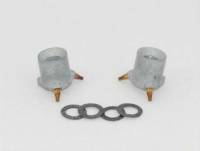 They are designed to increase throttle response. 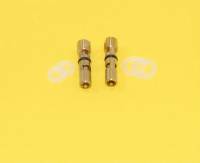 Booster Retaining Pins are included in Annular Booster Kits and also separately. 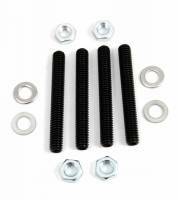 Check out the Recently Listed Carburetor Fastener Kits. Check out the Recently Listed Carburetors. Pit Stop USA is The Online Motorsports Superstore! We feature Floats at low everyday prices. Pit Stop USA is The Online Motorsports Superstore! 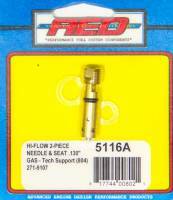 We feature Fuel Bowl Service Parts at low everyday prices. Pit Stop USA is The Online Motorsports Superstore! We feature Fuel Bowls at low everyday prices. Pit Stop USA is The Online Motorsports Superstore! AED Performance was founded with one basic premise in mind; manufacturing of high quality components at competitive prices. AED Performance honestly endeavor to offer the best product, service, and technical support as humanly possible. AED Performance feels in the last 25 years that they have met that commitment. AED Performance background includes over two decades in the automotive aftermarket field in design, building, and research and development of high performance components. AED Performance has devoted considerable resources and time to be able to offer the finest carburetors and components available today! AED Performance manufactures a complete line of Quality Fuel System Components, including ultimate carburetor kits, billet & birchwood spacers, CNC billet metering blocks & billet baseplates, replacement parts, gaskets, linkages, braided and stainless line kits, CNC billet brackets and accessories, specialty carburetor tools, and much more. AED Performance R&D facility consists of 3 Flowbenches, Mustang Dual Eddie Current Chassis Dyno, Superflow Engine Dyno, test engines, CAD-CAM design modeling equipment, and complete CNC machining facility. AED employs the planets leading computerized "Wet-Flowbench" designed exclusively for carburetor testing. AED Performance can wet-flow carburetors measuring airflow, fuel flow, manifold vacuum, and air/fuel ratio throughout the entire RPM range. This enables AED Performance to properly match and balance fuel delivery on all throttle bores and control the metering signal and strength at all engine speeds. We offer AED carburetor parts, AED Carburetor Kits, AED Needle and Seat Assemblies, AED Bowl and Metering Block Gaskets, AED Linkage and Spring Brackets, AED Power Valves, AED Accelerator Pump Cam Kits, AED Fuel Pressure Gauges, AED Hi-Flow Accelerator Pump Nozzle Screws, AED Accelerator Pump Diaphragms, AED Carburetor Base Gasekets and more at low everyday prices.